Diversions history is an example of how Howard's concert works seem to go through multiple version, responding to need. Howard is a very practical composer, who sees his role as a craftsman and more than once in our discussions he talked about the composer's role and the need to respond in practical fashion. On his website Howard includes a couple of phrases which seem to sum up both the man and his music, describing himself as 'a composer working as a craftsman, responding to the requirements of the day', and referring to his music as being 'hopefully inspirational and non-elitist'. Howard's Diversions started as a piece for cello and piano in 1973, though he admits that the work was not as honed as it is now. Ten years later, Howard was in contact with the French cellist Maurice Gendron who suggested that the work might be developed into a concerto and Howard travelled to Gendron's home in Grez-sur-Loing to work with him. Gendron's home was just up the river from Delius's house and Howard was able to row from Gendron's house to Delius's along the river which inspired such works as Summer Night on the River. Once completed, it was planned to premiere the work at the Brighton Festival with the BBC Symphony Orchestra and Gendron as soloist. Near to the concert date the head of Radio 3 informed Howard that it was felt that Gendron was 'past it' and that he was being dropped. (Howard disagreed with this assessment of Gendron, having played works such as Tchaikovsky's Rococo Variations with Gendron whilst staying with him). Another soloist was not offered, and the BBC simply dropped Howard's work from the concert. The work was subsequently premiered with the Royal Philharmonic Orchestra and Steven Isserlis as the soloist in the Fairfield Halls, Croydon with Sir Charles Groves conducting, in 1989. Though the location did mean that the work did not make as much impression as it might have. As a result of a record contract with Sony, which came about because of the success of The Snowman, Howard was able to record the concerto alongside his Piano Concerto on a new disc. Steven Isserlis declined to record the work so the part was recorded by Robert Cohen. Howard feels that this splitting of the solo role rather dissipated the potential of the work at its premiere performances; though Isserlis performed it subsequently, the recording was by a different cellist. Isserlis performed the work in 1991 at the Three Choirs Festival with the RLPO and Vernon Handley. Robert Cohen performed it in 1989 at the Royal Festival Hall, with the Bach Choir performing Howard's Benedictus, though Howard admits that it didn't fill the hall. 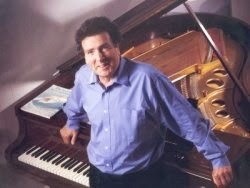 Cohen performed the work again in 2000 with the Brighton Philharmonic under Barry Wordsworth. And that appeared to be that. Then in 2010 Howard got an email from a young German cellist, Benedict Kloeckner. One of Kloeckner's teachers was Martin Rummel. Howard and Martin Rummel had played the Diversions, in the version for cello and piano at the British Music Information Centre. When Kloeckner asked Rummel to recommend a contemporary work for cello and piano he suggested the Diversions. Having learned it, Kloeckner wanted some coaching and he and his pianist came over to Howard's studio. My meeting with Howard is in his studio and at this point in our discussion he walks over to the piano to demonstrate how the young players had got some of the speeds wrong, and he plays a passage twice; once gently and then again, this time rather burning up the keyboard. Impressed with Kloeckner's playing, Howard found himself demonstrating a lot to them. After two hours, Howard assumed that was that. Then Howard got an email from Benedict to say that he had entered the work for the European Broadcasting Union Young Artists Competition, and had come in the last seven (out of 32 countries), and that the finals were in Bratislava when he would be playing Diversions again. Howard went out to Bratislava and heard Benedict playing Diversions and he came in the final three. Next day the three finalists played a concerto, and Benedict played the Elgar and came first. Howard described it as a big event, champagne was drunk and bold plaques delivered. Before leaving for Bratislava Howard had realised that, if Benedict did win he would need a present. He thought of his violin sonata and, as with Sibelius it was relatively straightforward to transpose the work for cello. Benedict was pleased with his present and, some time later invited Howard to do a recital with him. With Diversions, the new/old Cello Sonata and two existing works for cello and piano Penillion and Jazz Dances, they had a complete programme. The first time that Howard played with Benedict Kloeckner he felt that they had a rapport. Their first concert together was at the Historiche Cafehalle in Schlangenbad, a suburb of Mainz in 2011. The concert was a success and they have gone on to do further concerts together and will be recording the programme for SWDR in early 2014. Howard Blake had started life as a pianist, getting a piano scholarship to the Royal Academy of Music. Whilst at the Academy he formed a duo with the violinist Miles Baster and learned the whole of the violin/piano repertoire, performing recitals in music clubs. In 1960 they performed in Edinburgh. It was a great success and Baster was offered a job of founding the Edinburgh String quartet. Thus bringing an end to their duo partnership. Howard's time at the Academy wasn't entirely happy. His composition teacher, Howard Ferguson, retired after a year and Howard found himself out of sympathy with the prevailing style of serialism and modernism on composition. Whilst at the Academy he virtually stopped composing and stopped playing the piano. Afterwards he started to work in films eventually working as a session player and conducting. He also learned to play jazz as it was only way to get work, eventually becoming in house pianist for the Abbey Road studios, playing everything from classical to jazz and rock, even playing cabaret on television. This led to work on films with people like Bernard Hermann and it was through Hermann that he took over writing music for The Avengers (Howard wrote music for 10 episodes). Later in our conversations Howard talked about having to write music for a weekly show like the The Avengers stopped him worrying about the Academy's obsession with making every bar of music original. This was being a craftsman, writing music responding to need. Life became so busy, with conducting, composing and being musical director at Elstree Studios, that Howard stopped playing the piano entirely. The busy-ness finally got to him, and he found he had no time for writing music, he wanted to write chamber music again. So in 1972 he dropped out and moved to Sussex. He admits that he was lucky, he had enough money in royalties to make him independent. Asked to write a series for Thames TV he said he'd do it if he could write for a chamber group, a piano trio with himself piano. He enjoyed it and they started playing Schubert Trios in concerts. They suggested he write his own music for their concerts, the original version of Diversions and the Violin Sonata both arose in this manner, plus a Piano Quartet written for a concert in 1975. All three works come from a period of intense action, and the Piano Quartet remains one of Howard's absolute favourite works. Inevitably, with all this activity, Howard's returned to his piano playing. Then Ridley Scott asked him to write the music for his first film, Ridley Scott's film The Duellists was an enormous hit and Howard was aked to do big films. There was a ballet for the Queen's Jubilee, plus some big orchestra pieces, he was busy writing again, too busy to play the piano. In 1989, David Welton of the Philharmonia contacted him. The Princess of Wales was the President of the orchestra and they wanted Howard to write a piano concerto for a concert for the princess's 30th birthday. Howard described it as a most glorious commission and Evgeny Kissin was to play the piano part. Nearer the time, Kissin announced that he did not have enough time to lean the piece. The premiere was in May 1991 and by Autumn 1990 there was no pianist. David Welton phoned Howard and said that 'the boys day that you can play it'. Howard linked the performance to a recording, deciding that the only way he could do the performance was to use a recording to check that he could indeed play it. The recording was done on a Fazioli piano, amazingly the first modern piano concerto to be played on a Fazioli. He had to practice for three months to get it back doing scales and Cramer studies. And indeed it all did come back, he recorded the concerto from memory. But in the dressing room at the Royal Festival Hall just before the concert, he found that he could not remember. He had never played a concerto in his life before, and it was too late to do anything to remedy the situation. He went out and realised he had to play is as if he was in the studio. Further information from Howard Blake's website.